Super Bowl LIII has come and gone, and, yes, the New England Patriots took home yet another championship win — the team’s sixth title. If you’re someone who isn’t really into football and tuned into the game simply for the commercials and Maroon 5’s halftime show, then you’ll probably also be interested in seeing which celebrities attended Super Bowl 2019. If so, go no further, because here is a roundup of most all of the famous faces who actually traveled to Atlanta, Georgia, to watch the Patriots and the Los Angeles Rams in action. Of course, they even shared their time at the major event on social media. Really, were you even at the Super Bowl if you didn’t post about it on Instagram or Twitter? You bet she and her family showed up to support their husband/father, Tom Brady. Yep, even these Bachelor Nation stars were in attendance. That ring has never looked so good on the Unbreakable Kimmy Schmidt star. The former Saturday Night Live cast member was living his best life at the Super Bowl. He even shared a lot of videos on Instagram. It sure sounds like the rapper had a heck of time just getting to the Super Bowl. Yep, she couldn’t be prouder of her man and his bandmates for their halftime show. It’s probably safe to say that Vivian is beyond proud of her dad. The Arrow star didn’t miss his chance to be at the game. The country singer clearly had the time of her life. 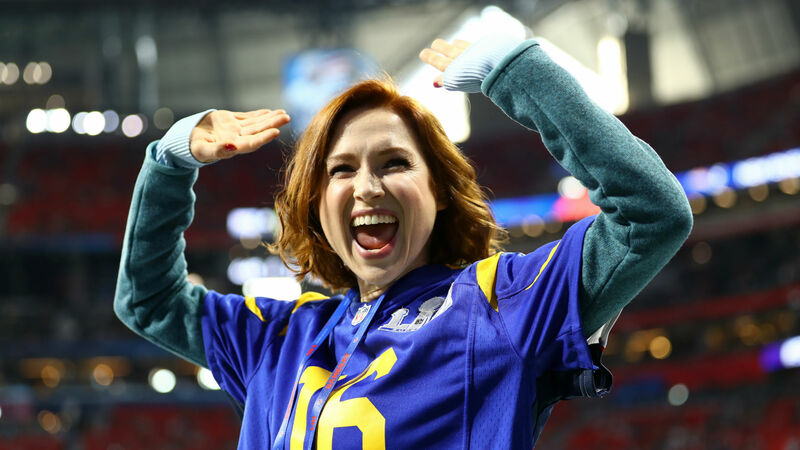 Sarah Michelle is all about those Los Angeles Rams. The former One Tree Hill actor was beyond thrilled. Maria Menounos, a Boston native, walked away extremely happy. And, yes, she was even able to congratulate Brady in person. The former Gotham actor is yet another famous face from Massachusetts who rooted for the Patriots. These two and their daughter, Sienna, just might win for cutest Super Bowl 2019 picture. When it comes to the Super Bowl, you can always rely on celebrities to make an appearance, and it looks like those who attended this year had a great time.